In the span of a single week the Washington Nationals have gone from humiliation to redemption to dominance. Just last Friday, they had their ace on the mound and a 9-0 lead. And then it unraveled historically. They ended up suffering the most gut-wrenching loss in franchise history, blowing the lead and then a 10th inning comeback to the Atlanta Braves in a defeat so stinging and surreal it left usually talkative Nat’s skipper, Davey Johnson, a stammering, shaken man in his post-game press conference. What would have been a 4 and half game lead against the 2nd place Braves, was suddenly and shockingly reduced to 2 and a half. How does a team recover from such a humiliation before the home fans in the opening game of what was billed the most important series of the season to date? They didn’t. In the first game of a doubleheader the next day, they were shut out 4-0. Lead down to a game and a half. The wheels had come off. It had all been an illusion. The Nats looked like just another 1st half Cinderella. It seemed they were on the verge of a collapse like the 1995 team that entered the all-star break in first place and promptly went into a 2nd half swoon that left them in their usual position- last place. Nats nation was stunned. On the mound as their last defense against the abyss was their 6th starter, John Lannan, a two-time opening day pitcher who found himself rudely relegated to the minor leagues at the start of the season but brought up on this day thanks to baseball’s new rule allowing a team to carry an extra player for doubleheaders. And the gloom only deepened as he and the Nats quickly fell behind the Braves 2-0 in the very first inning of the night cap. And then something changed. Inalterably. And maybe forever. The discarded Lannan found his rhythm. The Braves would not score again that night. The Nats hitters, listless through four innings, finally broke through, gifted by the fickle Baseball Gods. A wild pitch scored a run and they were on the board. In the 6th, a ground ball out scored another, game tied 2-2. In the 7th, a 4th-string catcher, Sandy Leon hit a grounder to first and the Baseball Gods smiled again. The ball hit the bag and magically turned into a single. A two-out single would give the Nats a 3-2 lead. They would go on tack on two more runs. The nightmare had ended. Lannan was sent back to the minors the next day, now likely to return for the stretch run when NL strike-out leader, Stephen Strasburg, is shut down for the season. On to Sunday, when a Nats victory would result in a series split and a remarkable redemption from the historic Friday night debacle. And so they won 9-2 on the shoulders of 3rd baseman, Ryan Zimmerman’s two home runs. They have since been unstoppable. Bryce Harper, with the big-stage glittering before the teenager’s eyes, homered in his first at-bat ever in New York City and the Nats would go on to sweep an unraveling Mets team in three straight. And the dominance continued Thursday night with an 8-2 win in the opening of a 4-game series in Milwaukee. Since the nightmare a week ago today, they’ve responded with 6 wins in 7 games. They’ve won 6 in a row. They are the first Washington team to go 20 games over .500 since 1945. They are tied with the New York Yankees with the best record in baseball. Except rising from the ashes to become, at least for now, the best team in the sport. Baseball’s trading deadline is next Tuesday. It’s usually the time of year pennant contenders seek the final piece of the puzzle that will put them over the top. There is no urgency in Washington. Let other teams give up their young minor league talent for 2-month rental all-stars. The Nats have the depth, the talent, the humility, the leadership and most of all- the chemistry and work ethic that makes any new, splashy additions to this team thoroughly and completely unnecessary. 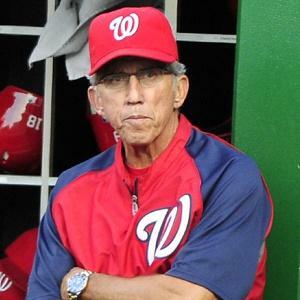 Earlier in the season, the Washington Nationals were a curiousity and a new-fangled sensation. They managed to overcome one injury after another to key players. In Strasburg and Harper they had youthful, potential hall-of-famers. No one ever doubted their pitching; it’s been the best in the game since Day One. But in those days, they had an anemic offense. Now- there is no team in the sport that has scored more runs in the month of July. The pitching remains suffocating. Their manager pushes, cajoles, compliments and motivates his players. They have weathered injuries and responded to things like the worst blown lead in the history of the franchise a mere week ago- in a resounding manner. They have answered every challenge thrown their way. They are not wilting, they are still gathering strength. This is not a good team. This is a great team. One for the ages. A dynasty is being born before our very eyes.